BRUSSELS, Belgium, October 18, 2013–The Lubrizol Corporation announces that it will promote its extended Isoplast® ETP (engineered thermoplastic polyurethane) portfolio at K 2013 in Düsseldorf, Germany. 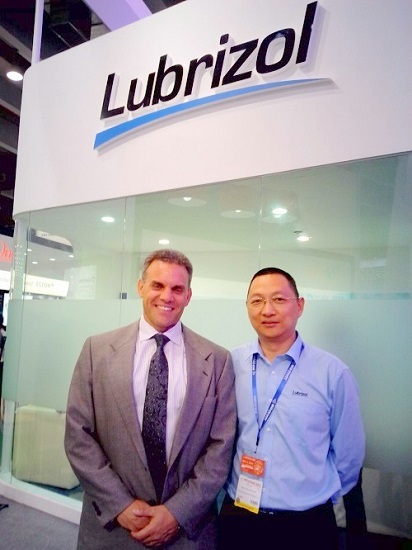 Lubrizol will be exhibiting at K 2013 from October 16-23, in Hall 06, Booth C10. Based under its Estane® Engineered Polymers platform, Isoplast ETP is a uniquely tough material that combines a high modulus with superior chemical and heat resistance, along with a very high impact resistance, thus making it the ideal material replacement for metal. When considering polymer transparency, Isoplast ETP offers outstanding optical performance in comparison with standard rigid transparent plastics. Isoplast can be over molded which allows for enhanced design flexibility. In highly demanding market end uses such as automotive components, industrial pump systems, connectors, power tool casings, marine boat propellers and scaffolding fittings, Isoplast ETP is widely used and is a cost-competitive alternative to a variety of other plastics and traditional materials such as metal. “We are excited about the growth and realm of possibilities of the Isoplast ETP portfolio. One of the top grades, Isoplast 302EZ, combines a set of unique properties such as chemical and corrosion resistance, light weight and dimensional stability. This makes it the material of choice for diverse end uses such as highly durable transparent fuel filter bowls and eyewear frames,” said Arnau Pano, European business director, Lubrizol Engineered Polymers and LifeScience Polymers. Additionally, Lubrizol will be highlighting other unique engineered polymer technologies at K 2013 in Düsseldorf, Germany. 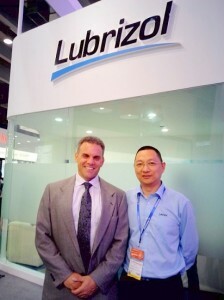 For more information, stop by Hall 06, Booth C10 or visit www.lubrizol.com/engineeredpolymers or www.merquinsa.com.